The Bannockburn 700 exhibition at the Stirling Smith looks at how Bannockburn has been remembered and memorialised over the past 700 years. 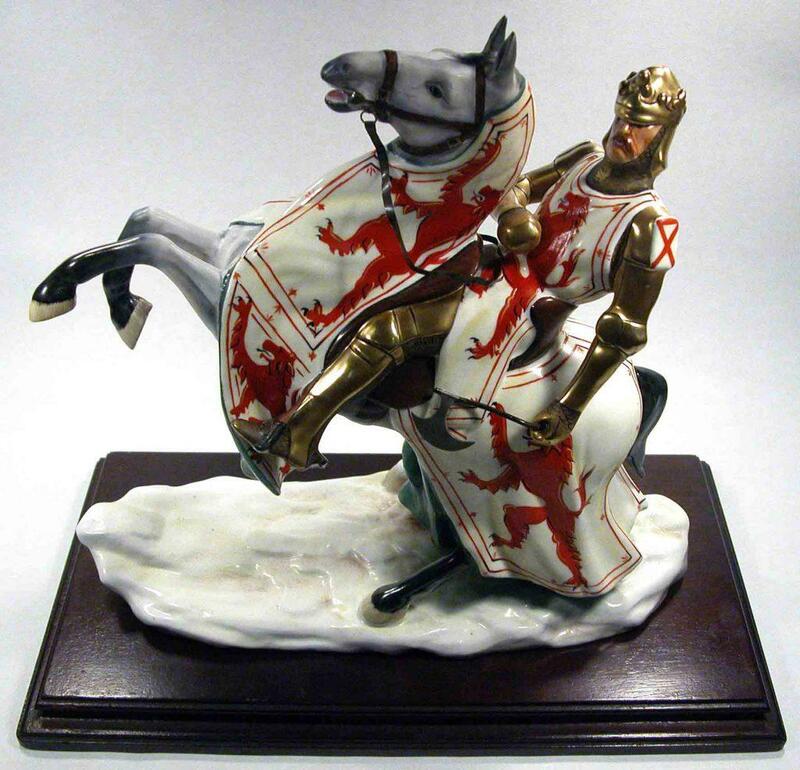 The royal victor, King Robert the Bruce, has also been portrayed by artists and sculptors in so many different ways. Shown here is a figurine in porcelain by Michael Sutty, made in the 1960s and purchased for the Smith collections through the Stirling Common Good Fund. Robert the Bruce has been used for marketing purposes over the years, chiefly by whisky and shortbread companies, using his name and profile to sell their products. Chivas Regal commissioned many artistic images of Bruce and the Scottish army in different media – miniature painting, stained glass, engraved glass and manuscript illumination – for use in sophisticated magazine advertising. One of the strangest promotions was that produced by the English pharmaceutical company, Lomotil, for their constipation medicine in the 1970s showing Bruce in a cave “try, try and trying” again.